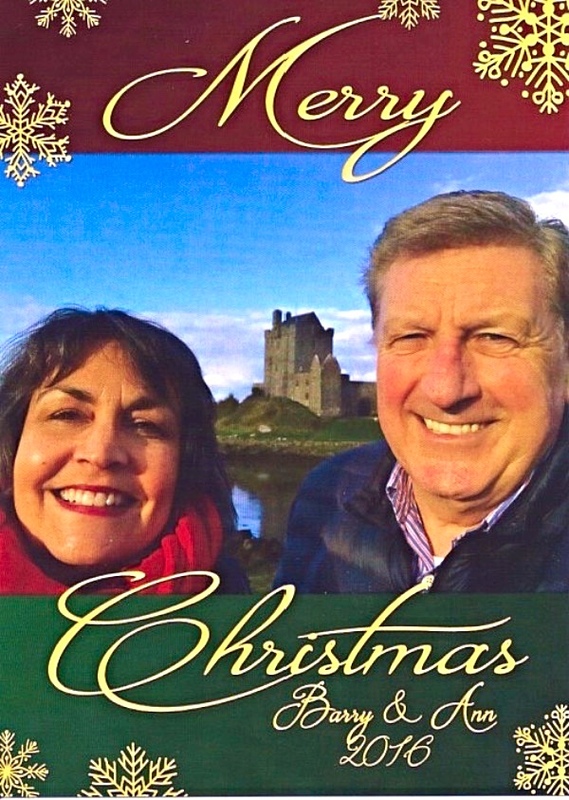 MERRY CHRISTMAS 2016 from Ann & Barry in Ireland! Serving is Better Together for HIS Kingdom! tangibly meet you and cover you with GREAT JOY! and praying with us for Ireland. salvation, healing and restoration to lives. Your prayers and faithful support are making a difference. in what He is doing across Ireland. As you celebrate the birth of our Savior this Christmas, we pray an outpouring of God’s presence over your lives and families. May HE pour out HIS richest blessings upon you and your loved ones in 2017. Copyright © 2016 Barry & Ann Dimond White - Serving the Lord in Ireland, All rights reserved.